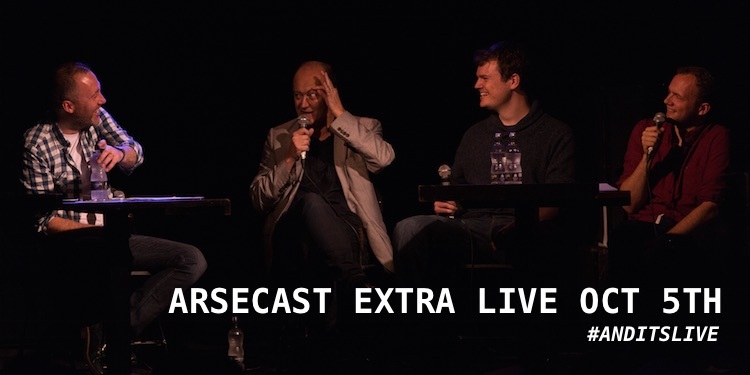 This week’s Arsecast Extra was recorded last night at The Garage Highbury & Islington. James and I were joined by Philippe Auclair and Paolo Bandini, and a live audience. We discuss the cracking 3-0 win over Manchester United, our European adventures, Jose Mourinho’s meltdown, and all the other weekend events. Then we take questions about strikers, left-backs, Carl Jenkinson, potential January signings and loads more. Thanks to all of you who came to the show on such a miserable night! You can listen without leaving this page by using the player below, download the Acast app for iOS or Android, or download the MP3 directly using the links below.